Dr. Ernesto Molmenti, Director of Adult and Pediatric Kidney Transplantation at Northwell Health, pictured here, performs a kidney transplant. The kidney transplant program at North Shore University Hospital (NSUH) has received a tier-five rating in the one-year survivability of transplant recipients by the Scientific Registry of Transplant Recipients (SRTR) – one of three hospitals in New York State to earn the highest rating. SRTR today disclosed its redesigned, five-tier outcome assessment process after an extensive review. It examined the outcomes of patients who underwent transplant over a 2 ½-year perioid and found that NSUH had a 98.3 percent survivability rating for transplant recipients with a functioning kidney after one year. The SRTR receives kidney, heart, lung and liver transplant data collected by government agencies and other organizations, manages and analyzes the information, and supplies data, summary reports and analyses to the transplant community. 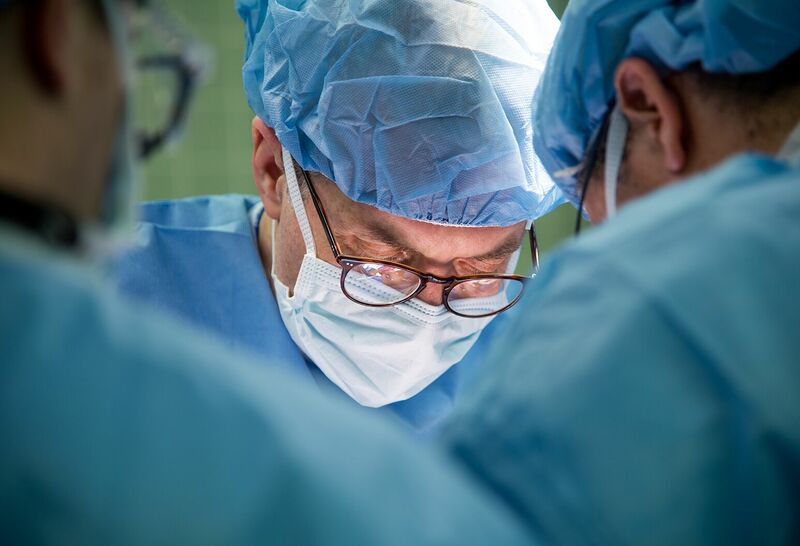 During the SRTR reporting period from June 2017 to June 2018, NSUH performed 90 adult kidney transplants, including 40 living-donor surgeries, more than double the previous year. Among the metrics SRTR evaluated for kidney: the transplant rate and one-year organ survival. Nearly 430 people were on the transplant waiting list at NSUH as of June 2018. Click here to compare NSUH’s kidney transplant outcomes with other New York hospitals. Northwell established its adult kidney transplant program at NSUH in 2007, and began performing pediatric kidney transplants at Cohen Children’s Medical Center in New Hyde Park, NY, in 2017. The health system further strengthened its transplant capabilities in 2018, when surgeons began performing heart transplants at NSUH’s Sandra Atlas Bass Heart Hospital. In addition, NSUH has received preliminary state approval to establish a liver transplant program and is expected to perform its first surgery later this year.